Hello amigos. Just this Thursday I experienced an ecstasy I thought was not possible. Let me clarify, I like the flavor of tomato: tomato sauce, salsa, tomato sauce, but I must admit that I don't like to just eat a tomato. I know, it is embarrassing (holla, Danni!). . . Granted when they are ripe I like them better, but you don't see me running to the farmer's market to get a tomato so I can make a BLT. That was until, Tomato Gratin. 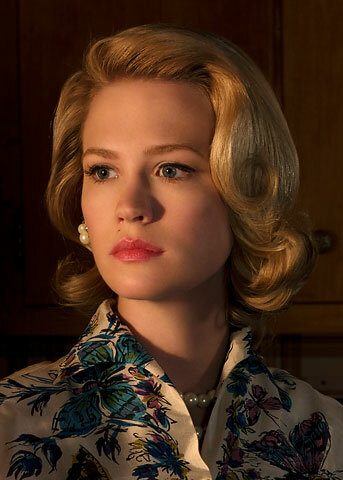 Ms. Garten has done it again by creating a recipe with so much and flavor that I pulled a Betty Draper, buzz kill matron, and put a Mad Men season two episode, without a doubt the best season, on pause so we could fully enjoy. So let me tell you how this all goes down. First you need an abundance of tomatoes. Our CSA for the past two weeks guaranteed that. Is your garden thriving right now? Laura just pulled 41 tomatoes off her four plants, and now is the time where you go into work and your gardener co-workers bring in a big box of tomatoes that say "please take." 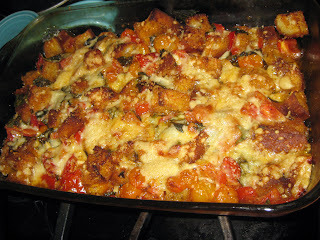 So if you don't have your own bounty, I advise to take those babies and make Tomato Gratin, see the recipe here. 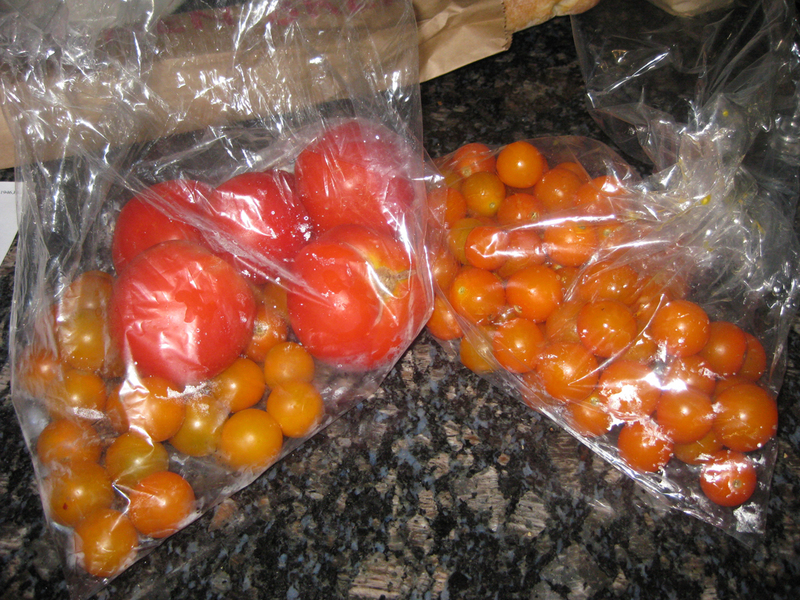 Ina calls for plum tomatoes, but I had a few of regularly sized and a bunch of cherry tomatoes, so I used what I had. No problem-o. 1. Cut up a french bread loaf into small squares. Ina says cut the crust off, but this test nester is far to lazy for that and it didn't bother me at all that the crusts were on there. 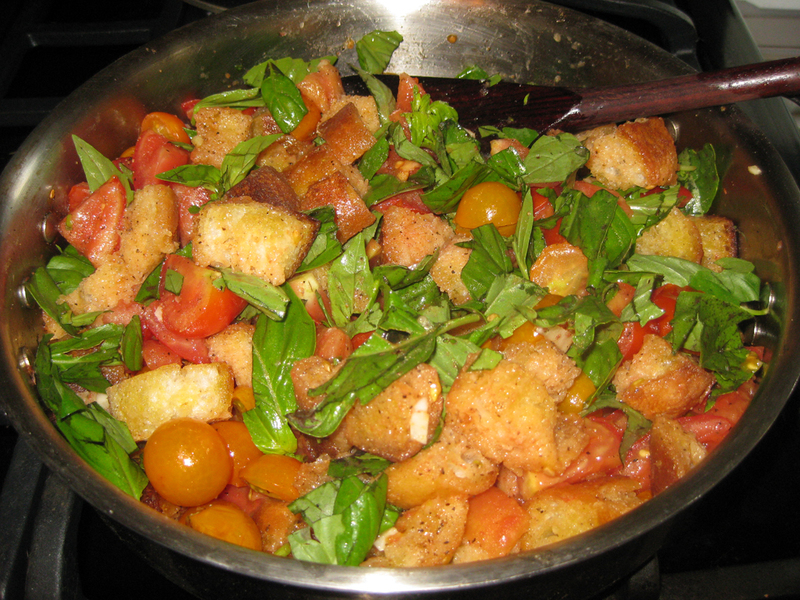 In a warm skillet with oil, brown the bread squares over medium heat for about five minutes. 2. 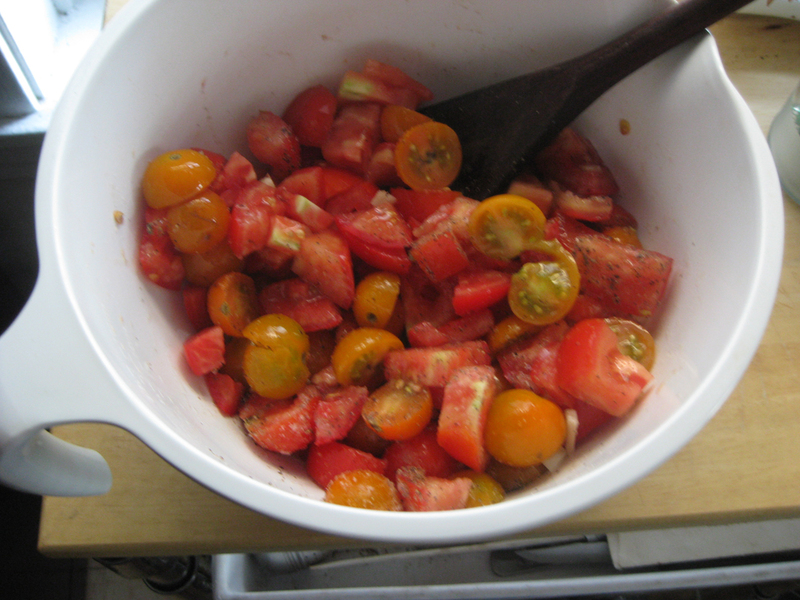 Meanwhile mix the tomatoes, garlic, sugar, salt and pepper together. 3. Add the tomato mixture the bread, stirring occasionally for about five minutes. 4. Turn off heat and stir in the basil. I may have added too much. I wouldn't know about that. 5. Spread into a baking pan and top with parmesan cheese. I might have used too much. I wouldn't know about that either. 5. Bake for 35 minutes or until bubbly. I'm telling you folks, you won't believe how good this tastes. Make good use of those tomatoes from your garden, put tomatoes on your grocery/farmer's market list, or come over to Max and I's because we still have tomatoes and we are really into eating this, so we'll probably be making it again. Stay tuned for more tomato uses. Laura is making salsa and canning tomatoes today, so tomato posts will be a plenty! 1)Add a few splashes of basalmic vinegar to the tomatoes, and "marinate" for an hour or so, then drained all liquid before adding to the skillet. 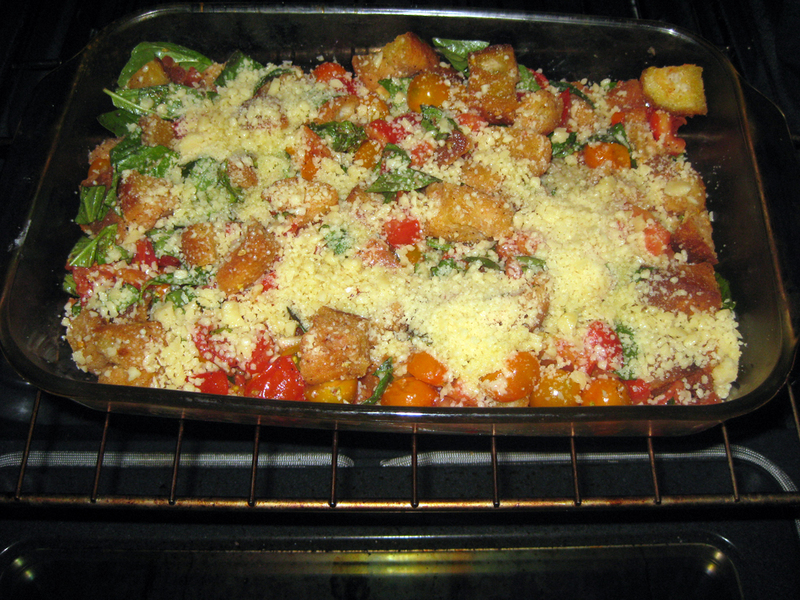 2)Added cubed fresh mozzarella while adding the bazil. Ohh, Julie, that sounds delicious. Particularly the balsamic vinegar. Love. Thanks for the tips and you are very right, you can't get too many carbs! Super Simple Pizza Dough--worth the wait! Organizing Your Recipes. Times have changed!